How’s everybody’s week going so far? Things are still pretty hectic and cluttered around the new house, so I’m enjoying the few moments of quiet that I can get to myself. 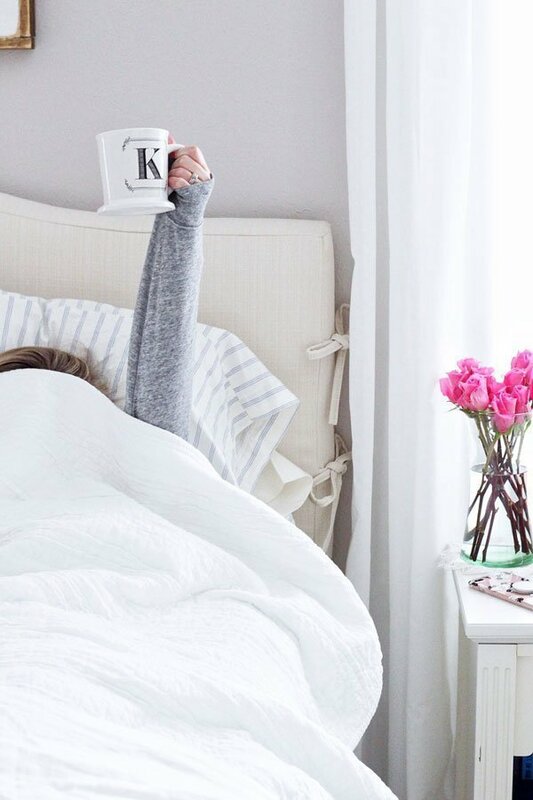 If you’re in-need of a pick-me-up, be sure to check out my thrills from the week! *Please pin images and links from their original source. 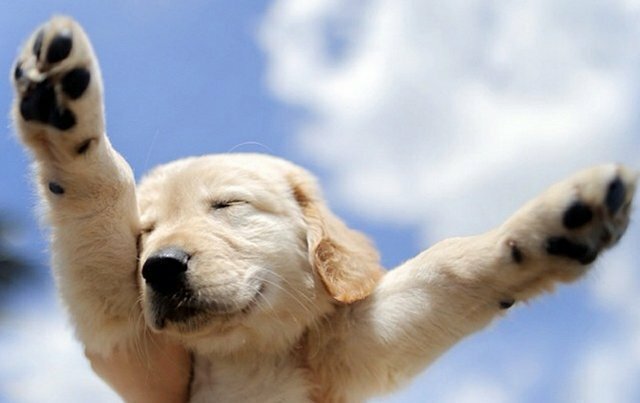 17 Reasons Why a Dog Makes Your Life More Awesome. Any dog owner will agree with this list – it’s spot-on! 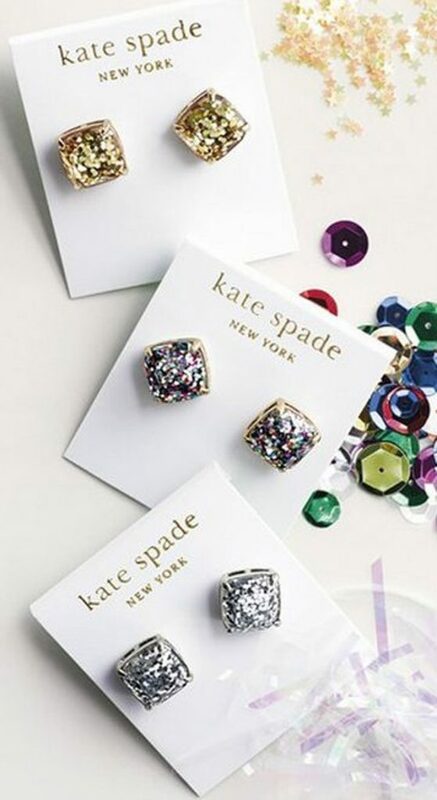 Kate Spade Sparkle Studs. Aren’t these just perfect for the holiday season? Although, I would absolutely wear these year round. You can’t go wrong with classic studs with a bit of glitter. VS All Access: Train Like an Angel. If these workouts can help me get in shape and get a bod like a Victoria’s Secret angel, sign me up. Festive Wintry & New Year’s Eve Wedding Favor Ideas. All these wedding favor ideas make me second-guess why Ryan and I didn’t have a winter wedding. Bathroom Inspiration. 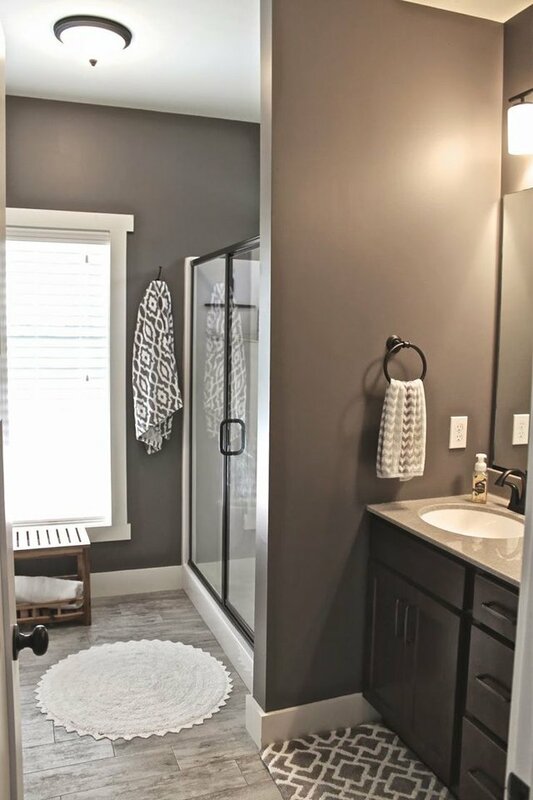 Sherwin-Williams’ “Mink” paint color is what we have chosen for the bathrooms in our home, so I’m loving all the inspiration photos to help guide us as to what to do with decor, refinishing the vanities, and so on. Bronde Hair. 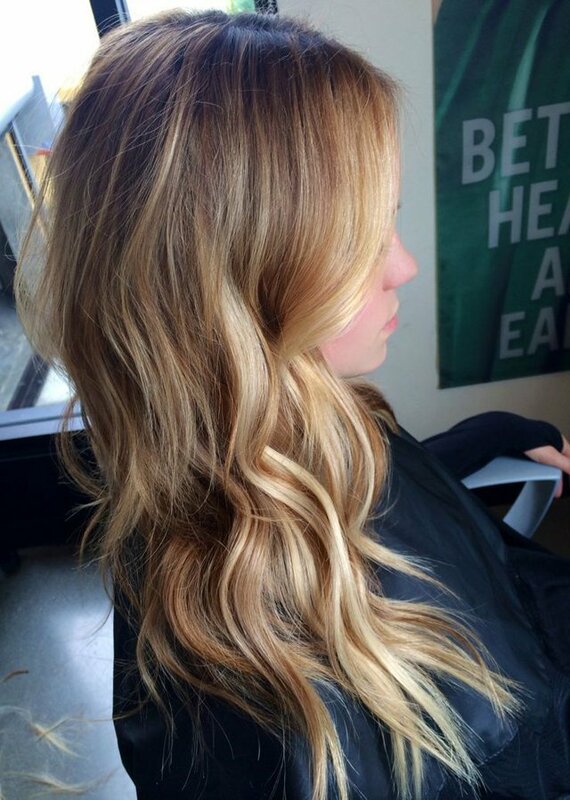 I’ve been loving my transition to ombre hair, and I think I want to take it a step further when it comes time for my next hair appointment. This provides a great list of inspiration. Hot Chocolate Krispies. Need I say more? I love all the variations of Rice Krispie treats, and this one is no exception. This dessert would be perfect for a lazy, snowed-in day. 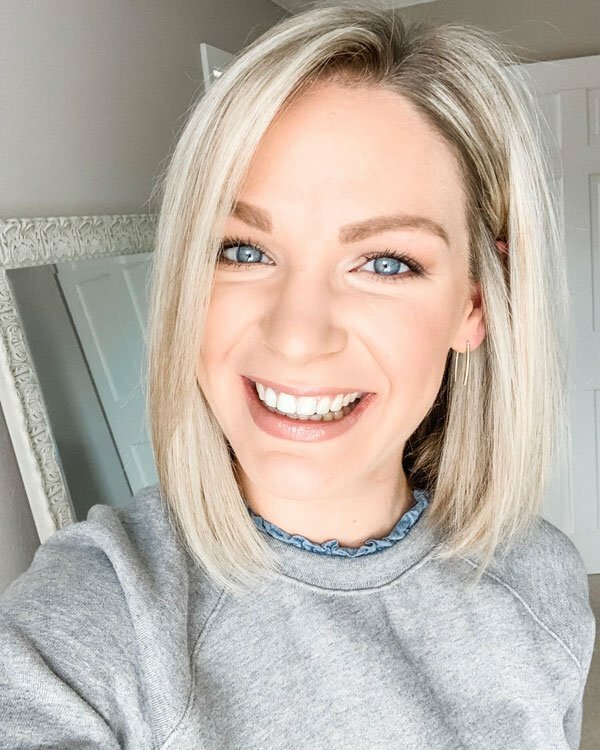 Online Wedding Dress Shopping: Tips to Consider Before Selecting “Order”: Seeing as we shop for everything else online these days, it’s no surprise that a lot of brides opt to buy their wedding gown or bridesmaid dress through the Web now, too. My second feature on the Wedding Party this week highlights things to consider and be wary of before you make the big purchase. I have been eyeing thise earrings for a week now – I need them in my life! Loved the doggie article, such cute pup pictures and so, so true! Those Kate Spade earrings have your name all over them! 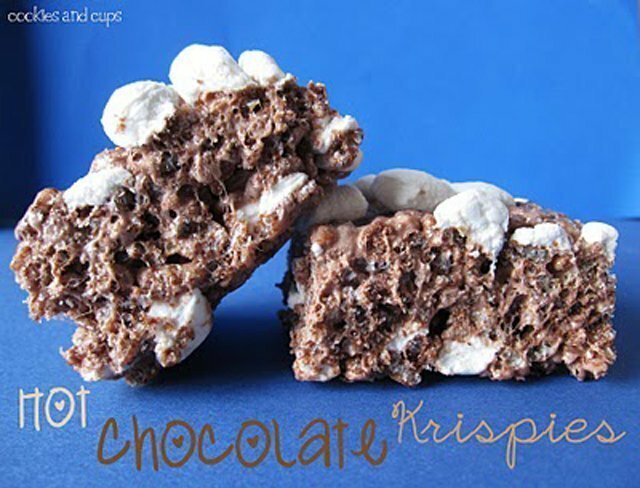 Those Hot Chocolate Krispie Treats look pretty yummy, too! Haha, they are crossed for you, girl! Thanks, girl! I'm so anxious to paint now! I'm with you on wedding dress shopping, but my cousin just bought her dress online and she loves it! The in-store experience isn't for everybody. I love those floors, too! Something about the gray undertones just ties that whole room together. Right?! Glad I'm not the only one! Thanks, girl! I'm excited to get them painted now! I agree with you about shopping online for a wedding dress! However, I suppose doing the whole in-store experience just isn't for everyone! I'm so jealous that those earrings are en route to you! Haha, you're probably right – they definitely work out longer for 20 minutes a day! I think all us girls need those Kate Spade earrings, just saying. Right?! I wish those workouts came with a no-fail guarantee, lol! Oh, those sparkle Kate earrings are on my Christmas wishlist… keep your fingers crossed for me, eh?! Loving this today! Really love the bathroom inspiration. I bet yours will turn out great! Also like th ombre hair and the list as to why having a dog makes life better! Those Kate Spade earrings are awesome, totally something I'd wear all the time! Loving the floor in your bathroom inspiration photo. Enjoy the quiet moments you can! Oh we would TOTALLY rock those sparkle studs year-round…love them! I mean I am 100% an online shopper but something about ordering your dress online…..it just doesn't seem right! Those earrings are so pretty and may already quite possible be "under my tree" and when I say under the tree…..I mean I have no tree and they are en route by Nordstrom lol. Love that paint color you picked! I love those KS sparkle earrings! I definitely need them in my life. And for some reason I feel like the VS models workout longer than 20 mins a day… can't they just send me their training for a month? 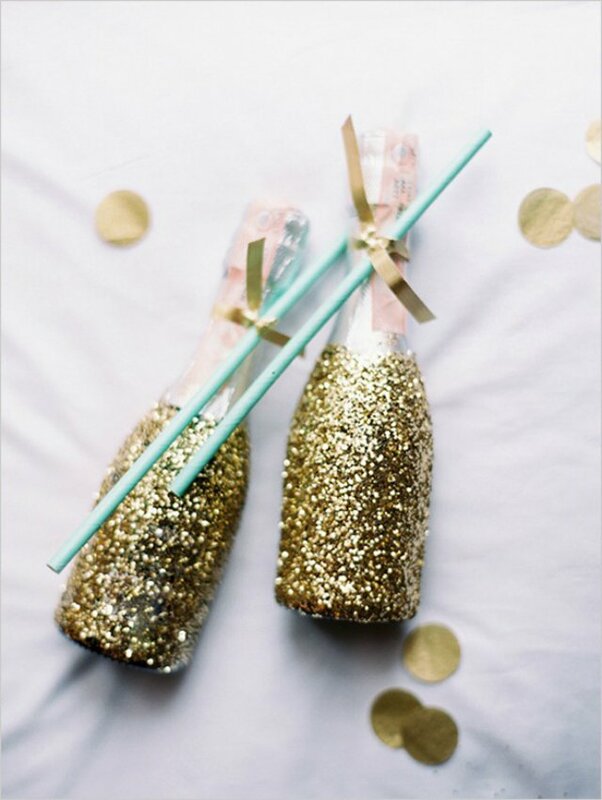 LOVE the glittery champagne bottles. Yes please!